LinguaBishes is a space for professionals, teachers, academics, and hobbyists who want to go on some adventures in applied linguistics. 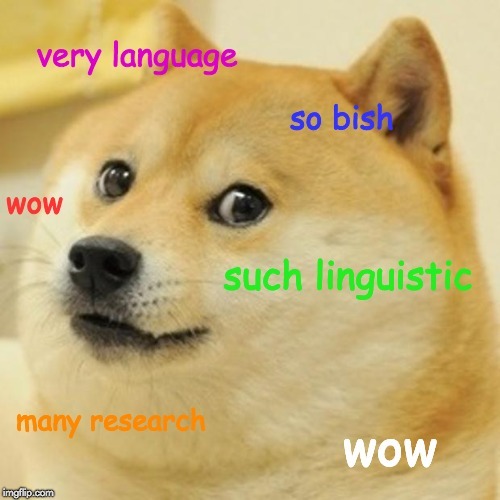 We have High Brow posts summarizing current published research in the field, and we have Low Brow content that includes our musings and observations on this crazy kid called language. Submit academic papers you want us to write about, thoughts and questions, linguistic memes and jokes, etc. to linguabishes@gmail.com.